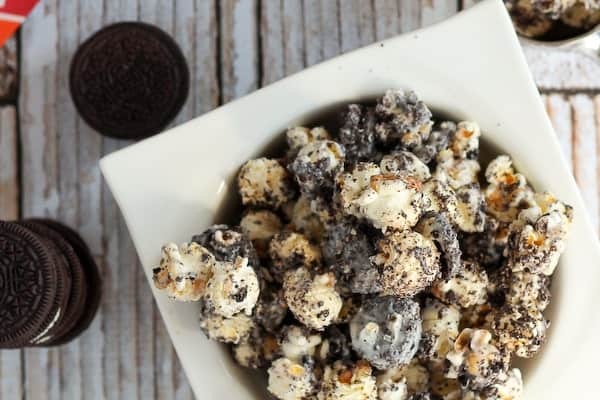 This Oreo Popcorn is so full of Oreo Cookie goodness — you won’t be able to stop eating this delicious popcorn. Every time I post a new popcorn recipe, I struggle a bit about what to say about it. It’s not because I don’t love popcorn — I do love popcorn (clearly). This popcorn is so good! Be obsessed with popcorn like I am! But that’s a little dull. And a little obvious. But really — this is pretty self-explanatory, is it not? I mean…OREOS. POPCORN. Oreos and popcorn!!!! Popcorn and Oreos! What more needs to be said, really? And this popcorn has double the Oreo cookie love. I crushed some up so that each piece of popcorn is fully coated with cookies and cream but I also left plenty of mini Oreos whole. 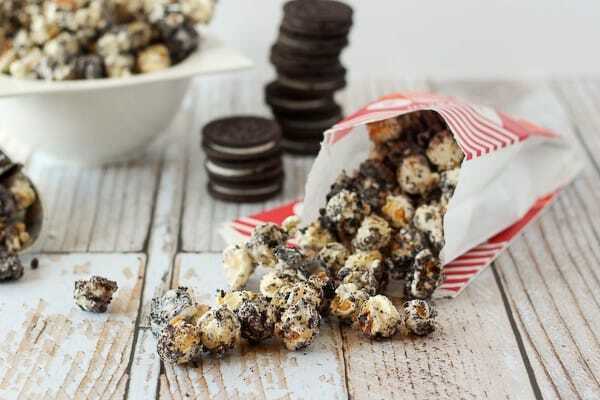 They got coated with white chocolate along with the popcorn to create a cohesive cookies and cream treat that you won’t be able to stop snacking on. The mini Oreo cookies are the perfect size to hang out with the popcorn — bite sized, perfect for tossing a handful in your mouth. 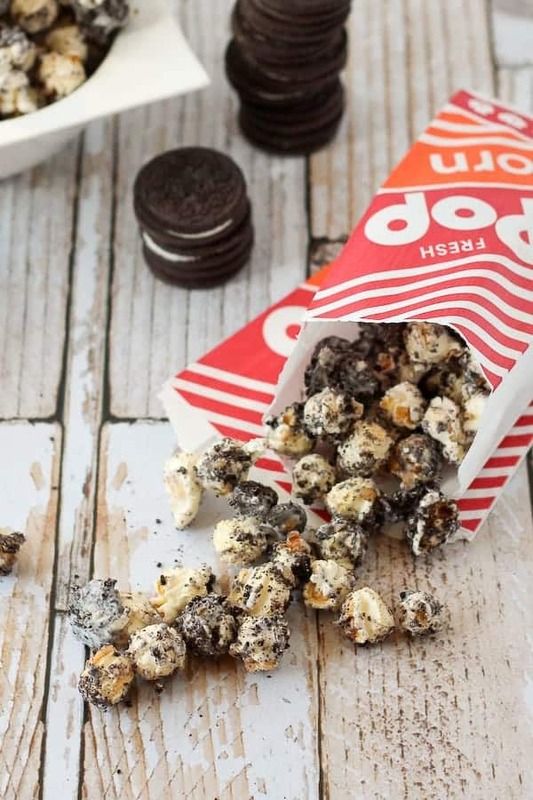 So, if you love Oreo cookies and you love popcorn, you’ll obviously love this popcorn. Duh. 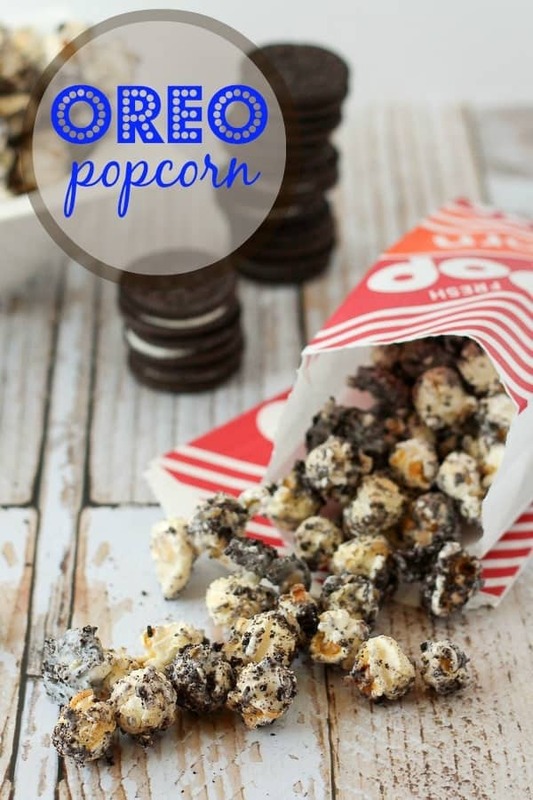 This Oreo Popcorn recipe was originally posted on Food Fanatic but you can also find it here! Verdict: Oreos. Popcorn. I think you all know how I feel about this. Husband’s take: Oreos. Popcorn. Is there a husband out there who wouldn’t love this? Oreo cookies not your thing? Try these other popcorn recipes: Cool Ranch Popcorn, Biscoff Popcorn, S’mores Popcorn, Peanut Butter Popcorn, Popcorn Snack Mix, Peppermint Crunch Popcorn, Kahlua and Espresso Bean Caramel Corn, or Rum “Spiked” Caramel Corn. I’m not big into sweet popcorn but I totally love Oreos so may have to give this one a try! This recipe! 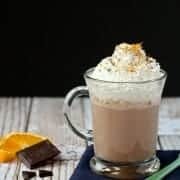 OMG Rachel, I had to show it to my husband, and he was like … ‘so when are you making that!’ lol, this looks beyond amazing, definitely need to try it asap! Fantastic recipe for my son and my daughter! Thanks for sharing! Normally I don’t groove on store bought packaged cookies EXCEPT for Oreos. I also am a popcorn lover. 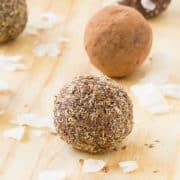 This post and recipe had me smiling from the time I read the title to now as I am typing this comment. Oreo popcorn? I brain exploded when I saw this. Love. Two of my favorite snacks in ONE?! OMG YES!!! What an AWESOME idea, Rachel. Love this recipe! Pinned! I’ve done this and it is crazy addictive, isn’t it? This is a great snack idea for the holiday weekend! So fun! 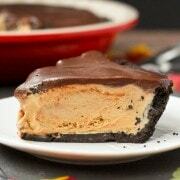 I could totally picture chowing down on this stuff! Have a great holiday weekend Rachel! My husband would definitely love this. Oreos are his addiction, which I don’t understand since I’d much rather have a gooey cookie. This looks perfect for cookouts.